According to this theory, the Night King could very well be the original song of ice and fire. 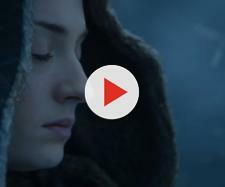 "Game of Thrones" season 8 is still at least six months away from its premiere, and other than a few rumors here and there and tiny hints HBO drops every once in a while, we only have theories to get us through the offseason, and help us quench the "GoT" thirst during this long, long night. Most of these theories, however, are nothing but a rehash of the same old ideas, but every now and then, a new, detailed theory appears providing some excellent food for thought for the fans. The following theory deals with one of the many unanswered questions "Game of Thrones" season 7 has left us with, the question of how the Night King is able to ride a dragon. Now, is he is yet another secret Targaryen? Maybe not. But he could very well have the blood of the dragon. Let's explain. 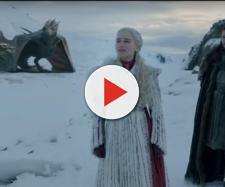 "Dead or not a dragon is still a dragon," YouTube user Anubhav Gautam writes, and the Night King is only able to ride one because he has the blood of old Valyria or what's commonly referred to as the blood of the dragon. The theory then goes on to suggest that the fierce White Walker leader could be half Stark, half Targaryen, and the original son(g) of ice and fire. It's an interesting theory, no doubt, but it has one major flaw. As far as we know, the Night King was created long before there were Targaryens or Valyrians for that matter. Unless, of course, there is something wrong with the timeline, which leads us to the next theory. We were led to believe that the Night King's creation took place before the Long Night and that he was the first White Walker. And then season 7 happened, along with that famous dragonglass cave scene in which we saw four White Walker figures depicted on the wall. Take another look at the scene down below. If you look closely, you'll see that one of the White Walkers, the one with a long beard is clearly wearing the crown. The thing is, he looks nothing like the Night King we're seeing in the show, with a beard and all. According to one theory, the Children of the Forest actually created the current Night King sometime after the end of the first Long Night and the defeat of the previous White Walker leader, the one with a beard. So if the Night King was indeed created after the Long Night, then it means that he could very well be one of the Dragonriders of old Valyria, possibly even a Targaryen. And who knows, maybe he is half Targaryen, half Stark, just like our boy Jon Snow. If "Game of Thrones" season 8 doesn't provide an answer to this question, then the upcoming prequel which George R. R. Martin is calling "The Long Night" most certainly will. Make sure to check out Talking Thrones video to find out more details about this theory.